Home > Opinions > Society > Should they lower the gambling age to 18? Should they lower the gambling age to 18? Yes definitely they should lower it to 18 rather than raise everything to 21!!!!!! I say yes to that one definitely as 18 is the age we become actually adults in the eyes of the law in most countries. Also because 18 year olds deserve to have all of the rights and freedom that come with adulthood and not to be treated as children like not have all of the rights at all or have all of them taken away. 18 and 19 year olds are much closer to their 20s too and should be allowed their independence and freedom to do what they like as 18 years is quite long enough for children and young people to finally wait to become adults. It Should be allowed for 5 year olds!!!!!!!!!!!!!!! There really is no need to argue the point. If our government gives us the freedom to enlist in our military and say "be safe and god bless you and thank you for your service" then I'm pretty sure losing $50 or winning $500 is not a bad thing. It's your life....If you mess up that's your fault...And whats the point if i can go on a cruise and gamble as well. When you're 18, you're legally considered an adult. You are legally able to go out and die for your country, so why shouldn't you be able to go out and gamble? Or even drink, for that matter? It's absolutely ridiculous to use the notion of age/maturity as an argument, because it comes back to what I mentioned above. By that same logic, if you aren't mature enough to gamble at 18, by the same logic, you set yourself up to make it look as though you feel that they aren't mature enough to decide to risk their lives for their country. Kids these days need freedom and that if they are able to drive and earn money and work for it. Use it and loose it. You can gamble at 18 in Florida, New York, Michigan, Rhode Island, Minnesota, Oklahoma, Wyoming, Idaho, California, Washington, and Oregon. They don't have any problems that I am aware of for this age group. The government needs to do their research before making unsupported and frankly insulting assumptions about us. Kids these days need freedom. Life is very short. Gambling is with money not and achaholic activity. Gambling can be an addiction but its better than sitting on a couch and watching Netflix. All im saying is if a kid doesn't do a sport then they are just sitting around. Let them have freedom. Too many people who are 21 and older are already led to financial ruin through gambling addiction. To open up such chances to 18 year olds would do no one any good. No, The legal gamling age should not be lowered to 18. 18 year olds are not yet ready or mature enough to make decisions when it comes to gambling. No, the legal gamling age should not be lowered to 18. 18 year olds are not yet ready or mature enough to make decisions when it comes to gambling. Too many people who are 21 and older are already led to financial ruin through gambling addiction. To open up such chances to 18 year olds would do no one any good. Do the benefits of legalized gambling, such as job creation and tourism generation, outweigh the social and economic costs associated with gambling? Gambling: Do casinos cause more harm than good? Should gambling be involved in video games for kids? 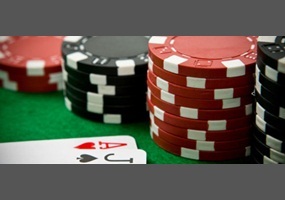 Gambling tax: Should gambling tax laws be enforced by governmental agencies? Do you believe the lottery is good for society (yes) or bad for society (no)? Gambling tax: Are the taxes earned from casinos worth the problems with gambling?